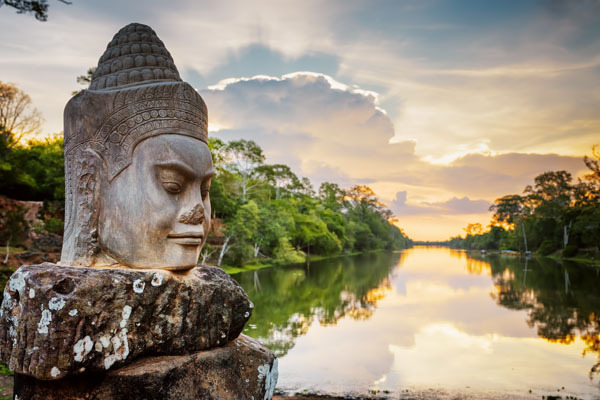 Surrounded by the Indian and Pacific Oceans, Southeast Asia is famous for friendly locals, serene temples, white-sand beaches and tropical climate. These things, combined with the calm, blue waters, potential for relaxation, and a variety of cultural activities make the region ideal for yacht charter vacations. 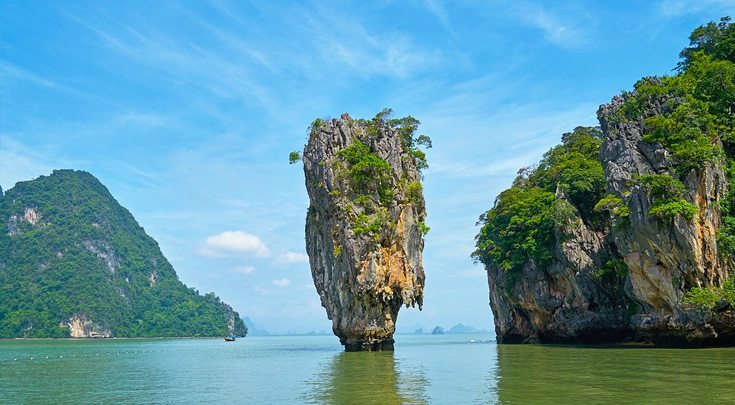 Thailand’s Phuket offers some of the world’s most desirable beaches and outstanding cuisine. 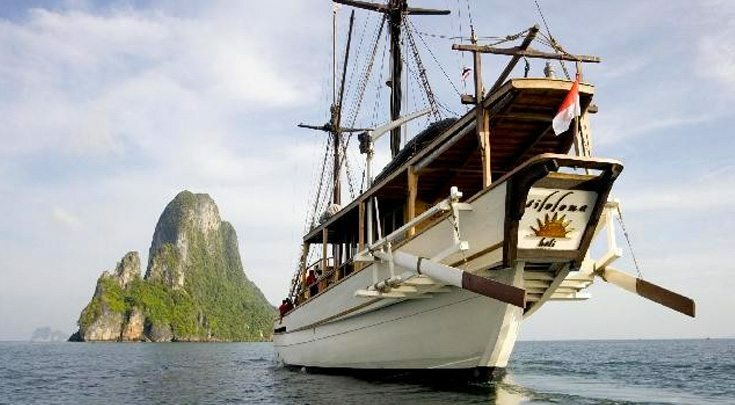 Cruise to Bali, Indonesia the “Island of the Gods” and enjoy rugged coastlines, barren volcanic hillsides and secluded white-sand beaches, as well as an interesting mix of cultures. Another great yacht charter destination is Tioman Island, Malaysia, where white coral reefs and brilliantly colored tropical fish showcase a stunning underwater world waiting to be explored. 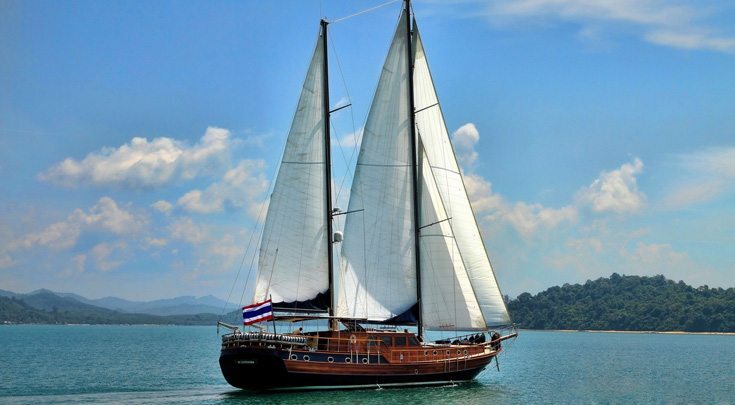 Discover the many wonders of tranquil Southeast Asia on a private yacht charter. Here are our TOP 5 TIPS on planning an exotic yacht vacation. Monk in Angkor Wat, Cambodia. 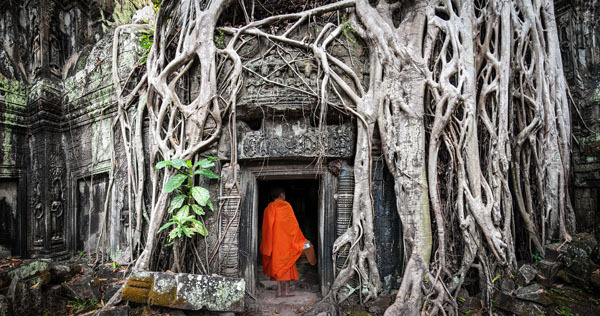 Ta Prohm Khmer is an ancient Buddhist temple in the jungle forest. 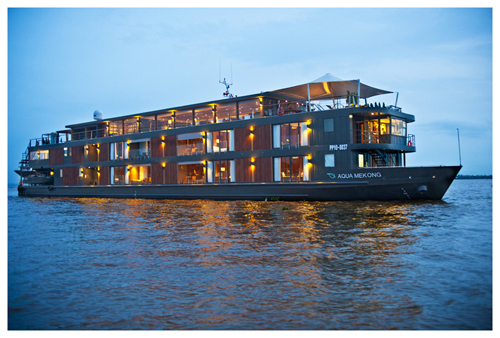 205ft (62.4 m) Saigon Shipyards Co. Ltd.
Read our blog post about the AQUA MEKONG, the Mekong River’s first 5-star cruise ship. She boasts cabins with floor-to-ceiling windows and private decks, an exercise room, a spa, a private cinema, observation decks and a foosball table! All rates are per person double occupancy; single supplement +25% regular rates.